Remember our report on the HYT watches of last year’s BaselWorld? 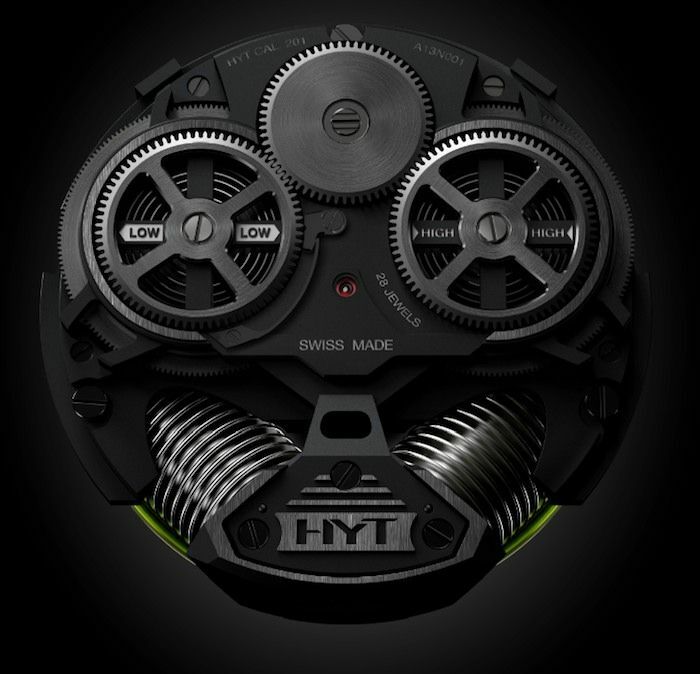 (click here for the HYT article) For BaselWorld 2013, HYT already has sent out a teaser to the press: the HYT H2. HYT H2 – Does It Still Has The Fluids? On this teasing picture, we at least see that HYT sticks to their fluid system. The two compressed reservoirs are still there, and we see the fluorescent liquid filled capillary tube as well (below). Fratellowatches will make sure to bring you the latest news during BaselWorld 2013, including the HYT novelty. We will be visiting them on the first day of the BaselWorld exhibition. Follow us on instagram to see the latest BaselWorld novelties.